# when is th eplug being pulled for good. I beliieve that I am right in saying that the VB6 runtime is still technically supported within Windows XP, Windows Vista and Windows Server 2003, and possibly Server 2008 though I may be totally wrong on that one. Whilst this support period will come to an end within these operating systems, I guess it is unlikely that Microsoft is suddenly going to do something to prevent the runtime working within one of these currently supported Operating systems. 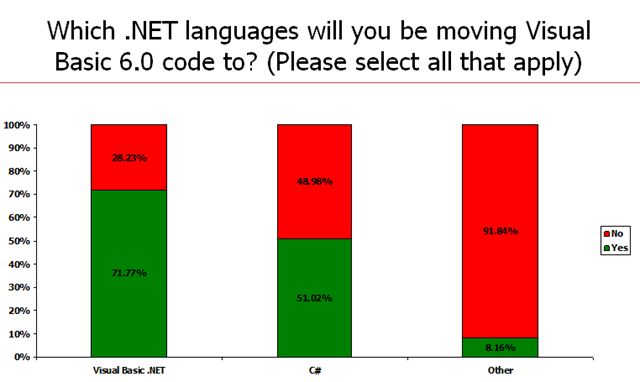 I am aware that the development environment is no longer supported. 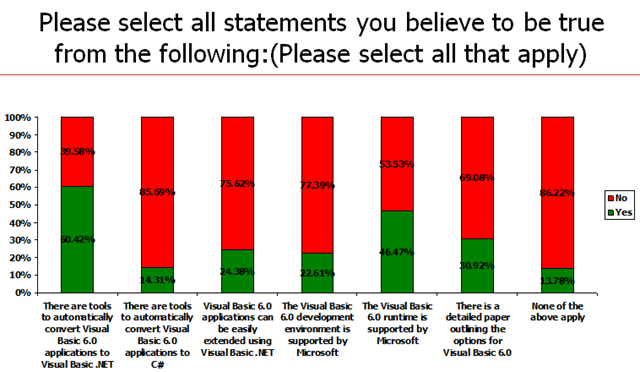 I would be interested to know to what extent the vb 6 runtime (if at all) will exist in Windows 7. I would guess that it is probably too early to remove it totally, but if it is there, to what extent will its functionality be supported? presumabely it will just be on the basis that most things will work but if you find stuff that doesn't you'll be on your own. What is the official line from Microsoft on this? 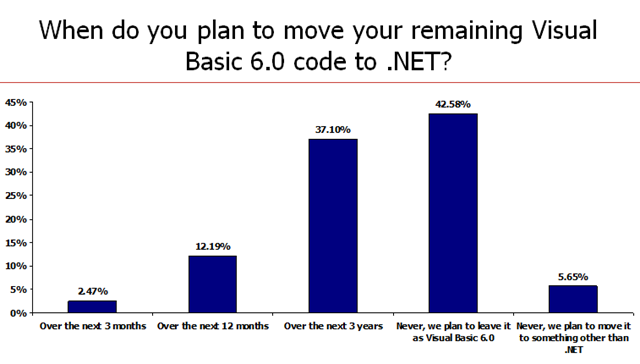 It would be interesting to ask the cost impact of trying to convert users vb6 codebases to vb.net, especially with that next to useless import wizard?